It’s Summer Time again, and that means it’s time for Lawn Chair Catechism, hosted by the lovely and talented crew at CatholicMom.com! 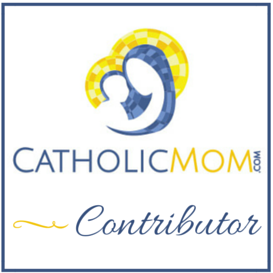 I’ll be posting link updates each week on this page, and you can head over to CatholicMom.com for lists of all the various posts on this year’s book. If you blog, feel free to join in the fun and leave your own links on each week’s post. Welcome to the second “Lawn Chair Catechism” at CatholicMom.com! This is an opportunity for you to kick back while you study along with us. We’ll be using A Well-Built Faith: A Catholic’s Guide to Knowing and Sharing What We Believe by Joe Paprocki as our basis for this discussion. Every Wednesday morning this summer, from May 28 to September 10, we’ll post a series of discussion questions based on the leader’s guide. You’ll be able to leave your comments and thoughts in the comments or post on your site and post the link. You’ll be able to participate whether or not you have read or are reading the book.